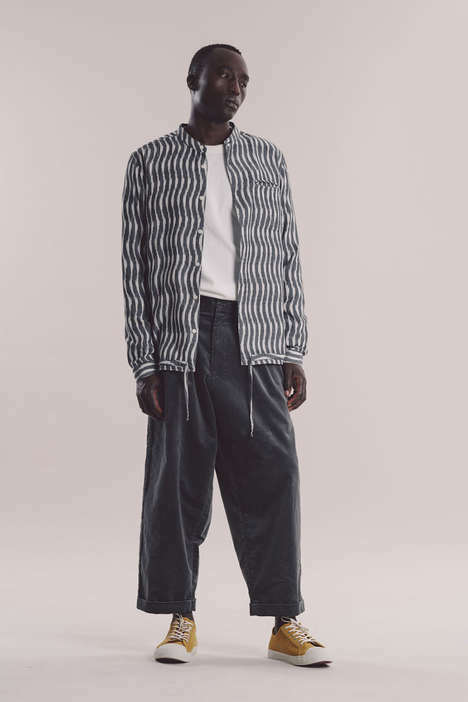 UK-based fashion label YMC unveils the first of its Pre-Spring 2019 selection in the form of the new PANIC collection. The capsule is comprised of fresh items, with some reimagined iterations of existing pieces drawn from its latest Fall/Winter 2018 collection as well. The seasonal collection is designed for layering in preparation for transitioning into the changing weather. Some key pieces in the collection include the Beach jacket in a dark charcoal hue, constructed from soft fleece materials, as well as the sheepskin-crafted Budgie jacket. Some vibrant additions include the label’s Poppy Red pieces in the form of knitwear, shirts, and outerwear. The entire PANIC collection is now available to shop online at YMC.